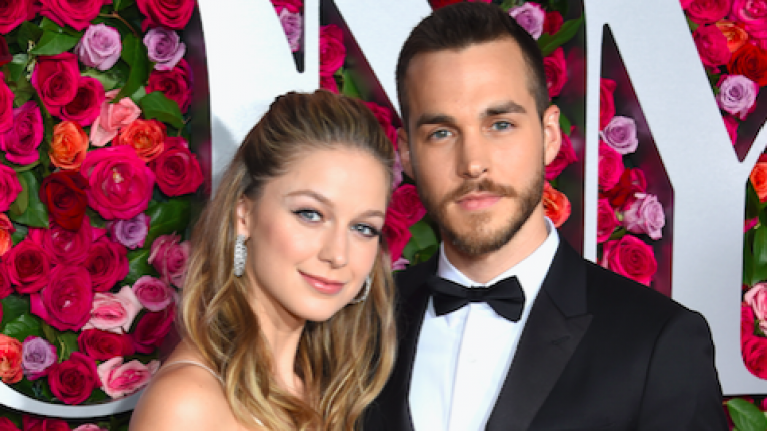 Supergirl's Melissa Benoit announced she has gotten engaged to her former co-star, Chris Wood. The 30-year-old shared an adorable photo of the two of them sitting in front of a fireplace, with Wood leaning over to kiss her on the cheek. It also shows off her stunning engagement ring, which was designed by Jennifer Meyer. She captioned the photo: "Yes, yes, yes - it will always be yes." The former Vampire Diaries star shared the same image on his own Instagram account, simply captioning it "the happiest." He followed that up with a throwback shot of the two of them dressed to the nines, grinning as they stood against a backdrop of fall leaves. "Not from our wedding BUT IT WILL BE SOON." The couple first met on the set of the CW's Supergirl, where Benoist has played Kara Zor‑El (aka: the title character) since 2015. Wood joined the series as Mon-El, her on-screen love interest , in 2016. According to E! News, the pari first sparked rumours of a romance when they were spotted on holiday in Cancun in March 2017. Benoist was previously married to her Glee co-star, Blake Jenner. The pair wed in 2013, before the actress filed for divorce in late 2016, citing irreconcilable differences. 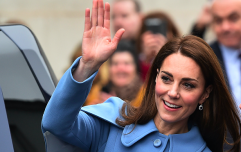 Their divorce was finalised in December 2017.